We’re here today to show you a few tips and also products that come in handy when decorating your desk. We can start with our NEW and HOT, Pink Neon Love LED Sign! Now, this lamp will bring your desk to a whole different level. We stare and play with this lamp all the time when we’re on hold, during a break and even just cause! Give it a shake and watch the sparkly flecks swirl and float around for hours along with the slow changing LED lights. As you can see on the sped-up GIF on the right, the lamp is definitely the perfect accessory to have on any office desk. It’s affordable, no battery hassle AND comes in the perfect size for any desk. 6″ x 4″ Mini Marquee USB LED Lightbox! You want to get these ASAP because they will sell out for SURE. This little mini LED Lightbox make the perfect stocking stuffer anyone of any age can use for the upcoming Holidays. Well then, it’s time to start decorating! Step 1. Grab our Mood Light Deco ball. Grab your own mood Light Deco Ball HERE. Our deco balls are affordable, battery replaceable, water-proof and have 7 different colors/color effects you can choose from. Normally, it’s used to light up a walkway/garden, place in a centerpiece or a cool decor in your swimming pool for a chilled out party but we’re putting a twist on it just for Halloween! Want something bigger? Go big or go home: We have a 10-inch Floating Light Orb you could use for a bigger decor! Step 2. Draw your Jack. Now, drawing could definitely be your forte or your weakness. Good thing our deco balls are pencil AND sharpie friendly, just make sure to let it dry. You can easily find an outline of Jack Skellington by looking him up on or by following these simple instructions from Easy drawing tutorials HERE. Of course, you’re free to draw anything you want; pumpkin, skull, ghost, etc… Remember to outline first with pencil and then fill-in with sharpie and ta-da! Easy peasy. Step 3. Light it up! Gather your family and friends and Light up your personalized Jack Skellington Light up Deco ball! It’s guaranteed to stop many trick-or-treat-ing kids to your door and just makes a cool decor for your Halloween party. Just take a look at the one we made within less than 10 minutes! 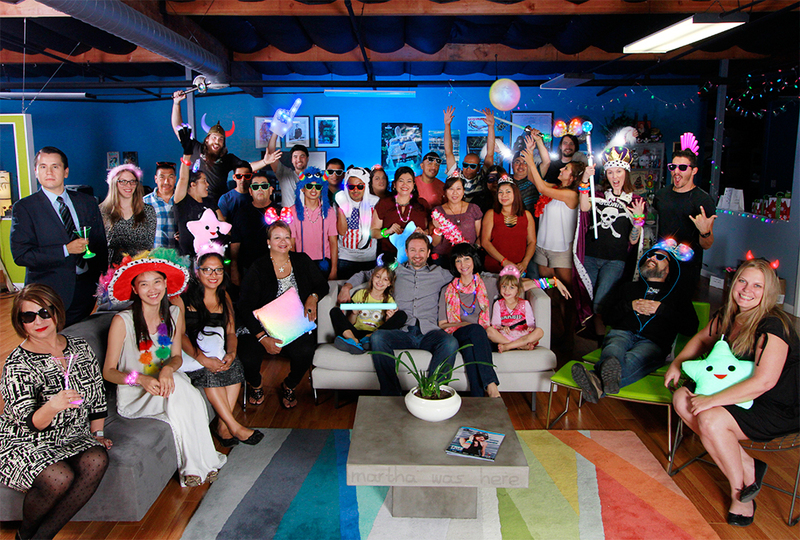 Show us your Halloween spirit! Tag #FBLparty to be featured. Wishing you a spooky Halloween! Oh, and if you haven’t, check out our DIY for a light up PUMPKIN. ELLY OUT. FBL is getting ready for one of our FAVORITE Holidays of the year by celebrating the classic tradition: Pumpkin Carving! But with a twist… LIGHTS! How’d you know? Let’s get started. Step one is to find the perfect pumpkin for you obviously. We wanted to keep our pumpkins for a long time so we bought the craftable plastic pumpkin at the good ol’ Michaels. Just look at that clean pumpkin; perfect size for the porch, outdoor, table decor and so much more! A quick tip here: Get into the Halloween mood with some Purple LED String lights, our Ghost centerpiece and a few of our LED Candles. Back to Pumpkin Carving! Just search up any design you’d like online, or get creative and make your own! Just remember to create a big enough hole ( or leave room on the top or bottom ) to fit your light inside. Now here is where the magic starts! We do have lights you could add into your pumpkin that’s smaller but why not go BIG. Our 2.75″ Deluxe Submersible is the perfect light to add to your pumpkin; just look at the color change! It also comes with a REMOTE so you could adjust your light speed to FAST for that party effect or SLOW for the eerie Halloween night effect. If you’re looking for a solid color, our smaller submersibles are a great replacement! You only need 1 for your pumpkin! Don’t worry, your pumpkin will shine long and bright with one so share your lights with a pumpkin in need. And that’s it folks! You’re guaranteed to win that 1st place for your next pumpkin carving contest. Happy Halloween! P.S. Check out our DIY Pumpkin carving video HERE. Happy Crafting! Elly out! Hello FBL crafters! Summer’s here and it’s time to cruise around with the gang. Remember our bike lights? They were a HIT with all our biker crew and other cruisers felt left out on all the love. So here we are to spark some creative DIY ideas for everyone in your gang. A light decor for your skateboard and longboard! S-i-i-i-i-i-i-ck! What are you waiting for? Grab your board and try it out for yourself! Follow these three simple steps and be the coolest on the streets. Grab your Skateboard or a longboard. Get one or two LED Strip Lights for Bike frame; comes in blue or red. Stay safe and don’t forget a helmet! Happy cruising! ELLY OUT. It’s 4th of July, guests are on their way and you don’t have that epic entrance to wow them. What do you do? Introducing..
You’re probably wondering, “how on earth will I EVER do that?” Well, I’m here to tell you that it’s really not as complicated as it seems. 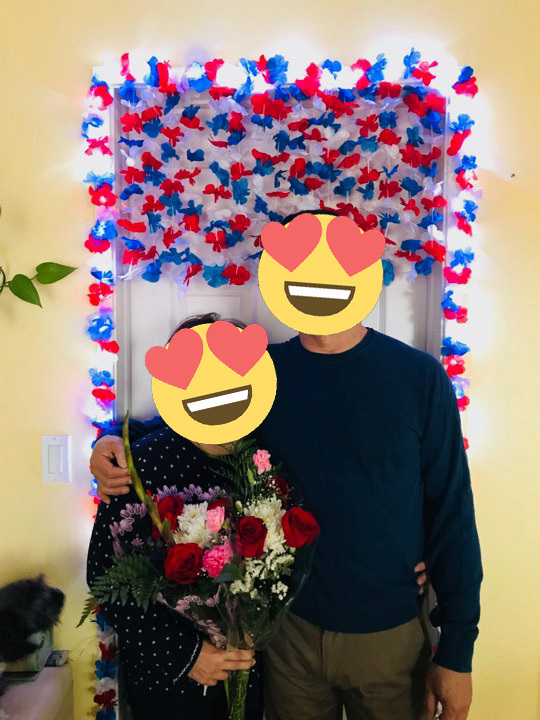 Things that you need: 4th of July leis 12159-RWB + LED String lights 11950-WT and the usual DIY kit: scissors and glue. Beauty! At first, we wanted to decorate the table but realized it’d make a beautiful backdrop + entryway for all our guests! We simply taped the string lights around the door and ta-da! spontaneity at its finest. It doesn’t only make a great entryway for your guests but an awesome photo wall! Got two birds with one stone! Check out a few of our test shots below! Check out how to make the other wall HERE. Love to see some of YOUR creative ideas! 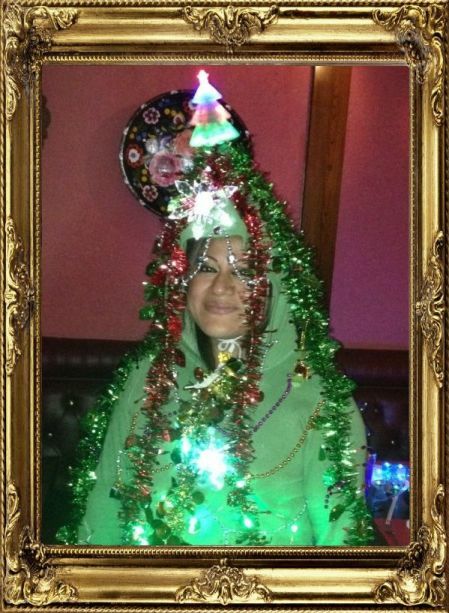 Tag us at @Flashingblinkylights to show us YOUR creations! Happy 4th of July! ELLY OUT. 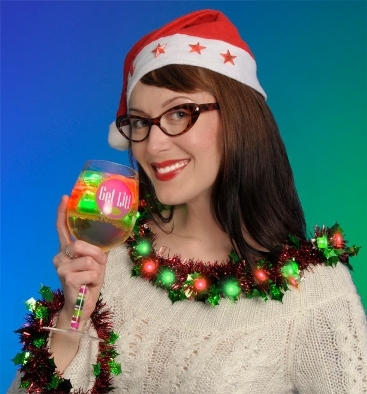 Tacky Christmas Sweaters: Still All The Rage. 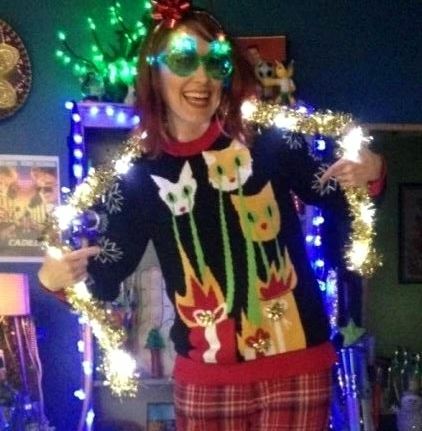 Last we talked Tacky Christmas Sweaters, we explored how to improve an ordinary plain sweater with ever-enhancing LED lights. Easy as pie. Since then, Tacky Christmas Sweaters have taken off like a rocket ship. There’s an insane amount of funny sweater designs out there, guys! So it’s no longer a challenge to find something unique, and ya don’t have to break the bank to win that “Ugly” Sweater Contest. Here’s one of my faves from last year: FBL customer service rep Awesome Adriana. 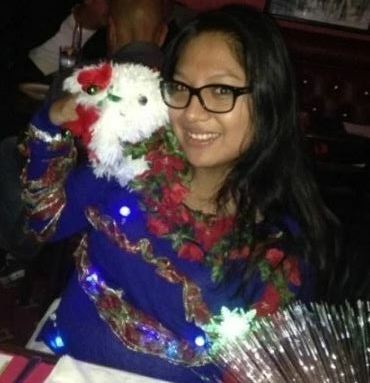 This kind-hearted woman took craftiness to a whole new level when she connected a stuffed animal to her Christmas Sweater for constant companionship. Cute idea! I spy even more ingredients needed for extra sass: flower trim, sparkly ribbons and our LED lights for arts & crafts. WELL done, girl, A+++. Here’s last year’s big winner, Vivacious Vero! How’s that for team spirit? She’s not only an essential part of our hard-workin’ custom print department, but she is a creative mastermind – just look at her use of our Christmas Tree Wand! Love the slow color change Acrylic Snowflake Ornaments as well. Above & beyond, this one. When I’m party plannin’, it’s only right that I opt out of the contest. But I can still get into it! 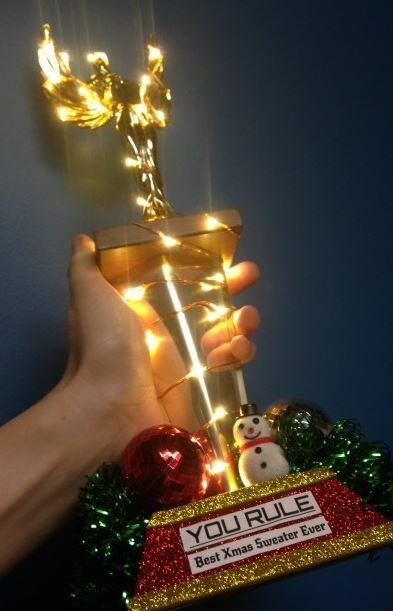 Check this light up tinsel garland boa I wove together in under 5 minutes, thanks to our LED String Lights – same product used on the trophy. I kept the battery house in my pocket, simple. In addition to FBL Lights, I am also a huge fan of cats with laserbeam eyes. Here’s a bonus shot of a rockin’ FBL customer who sports more than Tacky Christmas Sweaters, and she gets creative with larger products; not just the micro lights. This Christmas skirt’s got our slow color change Mini Gift Ornaments inside & around the layers of tulle. Nooooo way! YES way. Those Glowing Gift Ornaments come in a larger size too FYI. Now if that’s not thinking outside the box, then I don’t know what is. Pun intended. Happy holidays from all of us at FBL. Y’all come back now, ya hear? It’s me, Flashing Blinky Nikki, back for more with tiki decor. You’ll see a lot of tiki love ’round these parts, for chilled out mood lighting IS the foundation of tiki culture, it never went out of style, and holy jeeeeze is it easy to create yourself! Let’s pick up where we left off & check out this Viva Las Vegas inspired Velvet Elvis Presley that has taken over my living room. 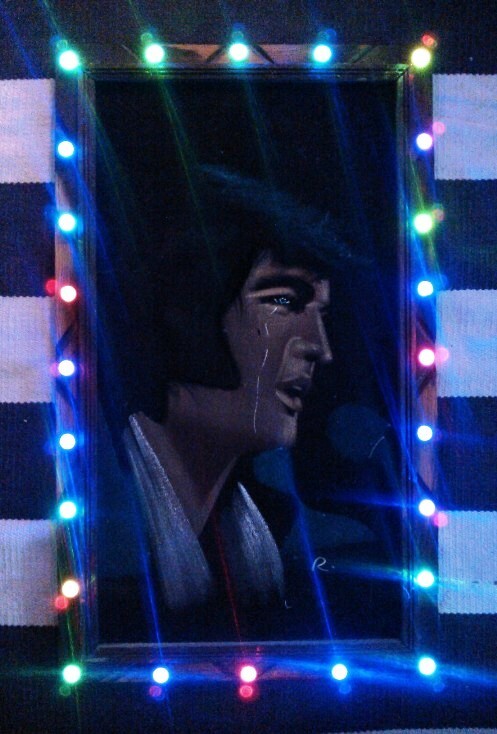 Literally minutes before company arrived, I grabbed some trippy/fabulous slow-color-change LEDs made specifically for arts & crafts, backed each light with a piece of foamy double stick tape (simple to remove + original vintage frame = noooo hot glue this time), and stuck ’em around my glorious $7 thrift store Velvet Elvis *swoon*. These particular LEDs have no metal hardware on the back, so you can stick ’em, glue ’em, sew ’em, place ’em however you wish! GENIUS when you’re in a hurry, yet need some flair. Little mobile LEDs also come in clip form should you want to attach them to…well…anything! Our lovely lady customers use the clip style as sparkling LED earrings – stylin’ on a night out, plus SUPER affordable as party favors. Now back to The King! Talk about a tiki party conversation starter, what a hunka hunka burnin’ love. 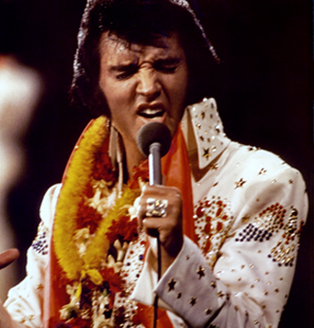 Velvet Elvis Presley & Las Vegas lights go together like peanut butter & jelly peanut butter & bananas, NOM NOM. Next just add tiki drinks to the mix, light ’em up with slow color change ice cubes, put some swingin’ tunes on the stereo & turn it up! 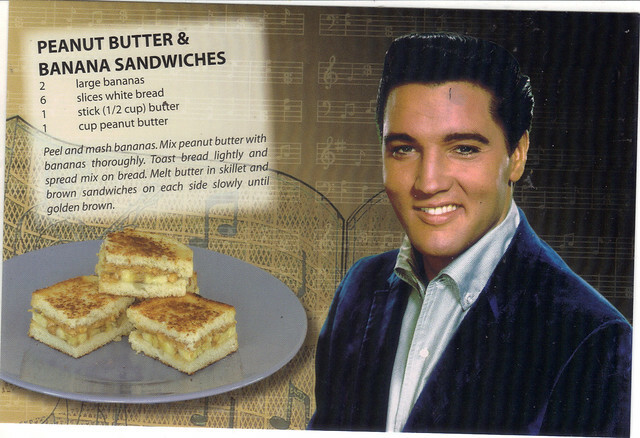 The King would be proud. Everyone. Memorial Day is just around the corner and you will be barbecuing, let’s face it. Even if you aren’t planning on it, something will happen, you’ll fall into an apron with a funny phrase on it, and start pouring Worcestershire sauce on ribs before you can say “Lady Liberty!” And it’s a lot of responsibility, let’s face it, but little did you know until now, Flashing Blinky Lights is here to help. Take, for instance, while your neighbors who don’t mow their lawn next door are busy with red solo cups; Imagine a glass of strawberry lemonade, but no ordinary glass, no, sir, but our new Red White & Blue Pilsner Light Up Glasses – SKU NO: 10320. Let us not leave the adults in the dark either, when a nice whiskey on the rocks in our aptly named Light Up Whiskey Rocks Glass – SKU NO: 10529 can wash down the stress of a long cook-out. But don’t limit yourself to just drinkware, people, because we have practical decorations and fun wearable items that can liven up any party and make the dance floor that much bright (or embarrassing the next morning, depending on how you look at it). From our brand spankin’ NEW! USA Stars & Flag Stripes LED Sunglasses – SKU NO: 11668 to the Triple Star Light Up Flashing Wand (Red White Blue) – SKU NO: 11150, kids and adults alike will have one heck of a time at our fictional barbecue. In addition to decorating your faces and libations, desserts are also a major factor. Here’s an FBL oldie but goodie: The Champagne Jello Glass! With our Light Up Champagne Glass with Long Spiral Stem – SKU NO: 10483, take equal parts red and blue jelly and intercut them, like so, with your favorite whipped cream. Tasty? Tasty. What you want, we’ve got. It’s true. You’re welcome, America.